In a month’s time Tunisia will take an important step towards its democratic transition. What most Tunisians have been waiting for will finally happen: the first free and fair parliamentary and presidential elections after the drafting of the new constitution. Following the heady experience of the Arab Spring nearly four years ago, holding these elections will help put Tunisia on the right track of good governance and keep the new small shining democracy afloat, despite the serious challenges it’s facing. I Watch is set to be there amid all the action of observing the upcoming elections, building on its previous experience of having led an observation mission in 2011. Election observation has become a costly, top-down and exclusive exercise that largely ignores citizen input and participation for legitimising the process. I Watch aims to counter this through an inclusive and technologically innovative approach which could revolutionise election observation worldwide. 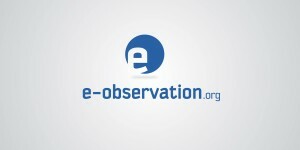 Our plan is to collect reports from citizen observers across the 24 Tunisian governorates. It will be a hybrid pilot that combines domestic observation with crowdsourcing tools to provide a new way of engaging citizens in the electoral process. 5. visualise observer and citizen reports through interactive maps and graphs. Check out the site and let us know your thoughts in the comment box below. Stay tuned to find out more about how I Watch will mark these important elections in Tunisia. MENA Integrity School participants and I Watch staff at the Tunisian parliament.